Non-prime Members—$9.99 per month; month to month. Prime Members-Only—Only $7.99/month or sign up for a full year membership for $79/year (get 2 months free! 12 months for the price of 10 months). Family Plan—$14.99/month for up to 6 family members for Prime and non-Prime members. Prime Members only can get 2 months free by electing a full year membership for $149/year. Each family member (up to six) has the same functionality as an Individual Plan subscription. You and your family can stream music on up to 6 devices at the same time. Myrtle Beach Radio Stations.com would like to celebrate The Beatles 50th Anniversary! The rock n roll group that started it all..The Beatles. Perhaps the best known rock group in the world. With the teeny bopper hits such as: I Want To Hold Your Hand to the hard charging song Revolution, to the slow sweet melodies of Hey Jude. 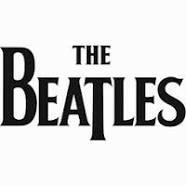 Please enjoy some of The Beatles most requested and beloved songs. …that eliminates the hassles of storing and sharing personal videos. RealPlayer Cloud supports all popular formats like FLV, WMV, MKV, DIVX, XVID, MOV, AVI, and MP4. Click here to create your RealPlayer Cloud account, then download the RealPlayer Cloud app, and get 2 GB of FREE cloud storage! RealPlayer isn’t just music any more! With our new RealPlayer Cloud apps, you can move your videos wirelessly between your computer and smartphone or tablet. RealPlayer Cloud formats the videos correctly for each device. No more wires, no more headaches with formats. It just works. Upload your videos to RealPlayer Cloud using our apps and you can watch them on your Android, Windows Computer, iPhone, iPad and on any of the popular browsers. If you are on the go on the road or on an airplane, download videos from your RealPlayer Cloud to your device and watch them even when you’re offline. Easily and instantly move your videos to any device by uploading them to the RealPlayer cloud. 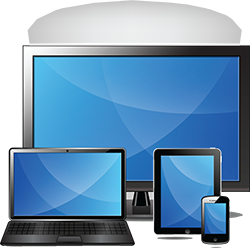 Ensure that videos are formatted perfectly to any device, thanks to SurePlay. Download videos locally for access anywhere. Watch your videos or friends’ videos on their TV through Chromecast or Roku. Discover hot trending videos from across the web. Easily and privately share videos no matter how long they are. Share your videos socially on Facebook, Twitter, and just about any social media platform. Allow friends to watch their videos on any device without downloading the RealPlayer Cloud app. You can access RealPlayer Cloud from any computer’s web browser. The website will work on Windows 7, Windows 8, Windows XP and Vista, as well as Macintosh computers running Safari 5 or higher. RealPlayer Cloud for PC is designed to work on Windows 7 and 8. The RealPlayer Cloud website will work with the above systems as well as on Windows XP and Vista, and Macintosh computers running Safari 5 or higher. RealPlayer Cloud for PC is designed to work on both 32-bit and 64-bit systems. RealPlayer Cloud for PC only works in Desktop Mode in Windows 8. RealPlayer Cloud is also available for iPhone, iPad, Android, and Roku.